Supple, smooth, nearly feminine marc. 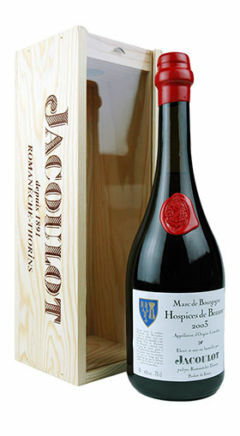 It is quite simply, the Marc de Bourgogne. it comes from the distillation of Pinot Noir de Bourgogne grapes, «extra-égrappé». It is aged for a minimum of 10 years in oak barrels before being bottled.